If you’re wondering why I’m looking so tanned and relaxed it’s because I’ve been in Broome! Okay, it was only for three days and there wasn’t much time for lying around in the sun, but it was a fantastic trip nonetheless. 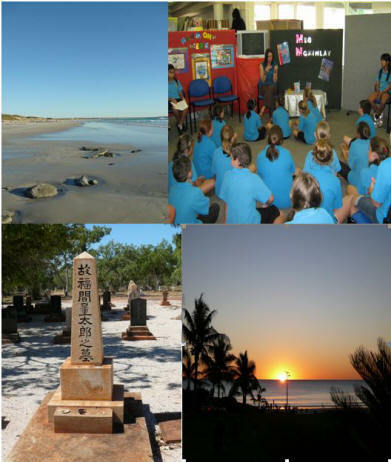 I spent time with Years 8 and 9 from Broome Senior High School, then an afternoon with some keen readers and writers from Cable Beach Primary School. We talked about how stories get started – about images that fall into your head and priests on oceanic balloon flights and chihuahuas that get blown away in storms and about ways in which you can take all your wild and crazy ideas and turn them into stories. 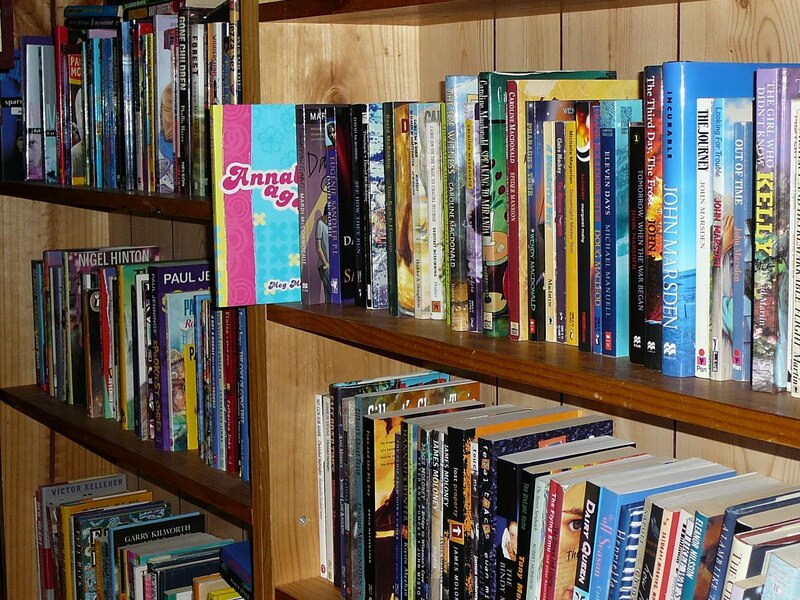 This entry was posted in Again, Annabel, Events, Reviews and tagged school visits, travel on May 4, 2009 by Meg McKinlay. Annabel, secondhand! I’m choosing to believe that someone loved her so much they just had to share her with the world (it’s my delusion and I’m sticking to it!). This entry was posted in Annabel, Again, Uncategorized and tagged bookshops, travel on November 10, 2007 by Meg McKinlay.